I finished May's block of the Into the Jungle Stitch-A-Long. I will now put it away for a few weeks to work on my other wips. The next one in my rotation is Soda's Stitch G-39 Alphabet Learning. I only have four more letter to add and it will be done! I'll post a pic of that piece on my next update. Since my last update, I finished two amigurumi: a tiny beagle puppy and a mosquito. 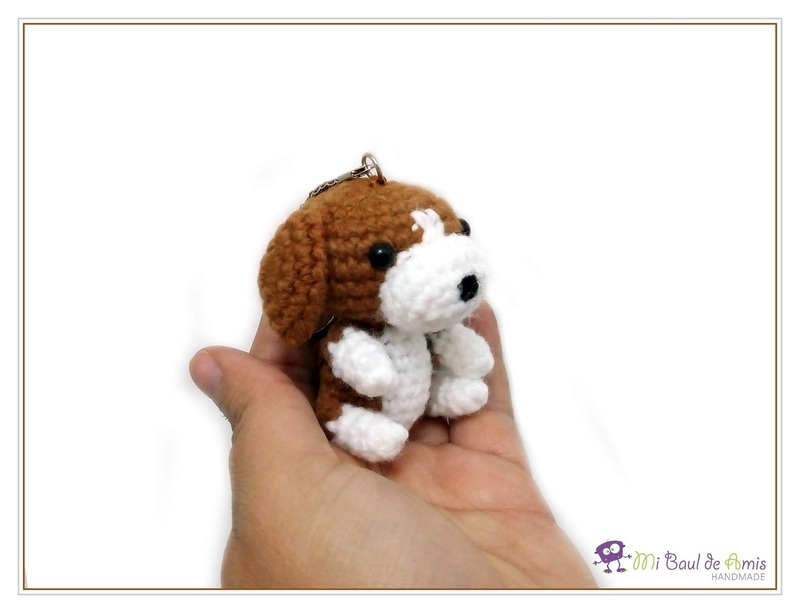 I usually don't make amigurumi this small but the beagle would be used as a keychain so it needed to be small. And last night, I finished a mosquito that will be traveling to Spain. 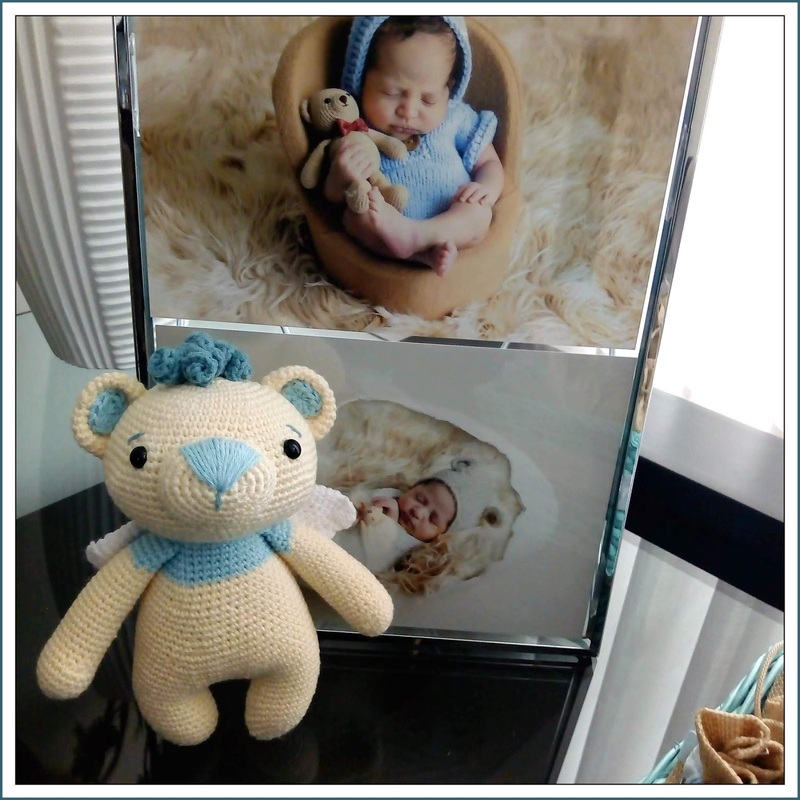 This is fun and fast design to work, specially if you just started making amigurumi. 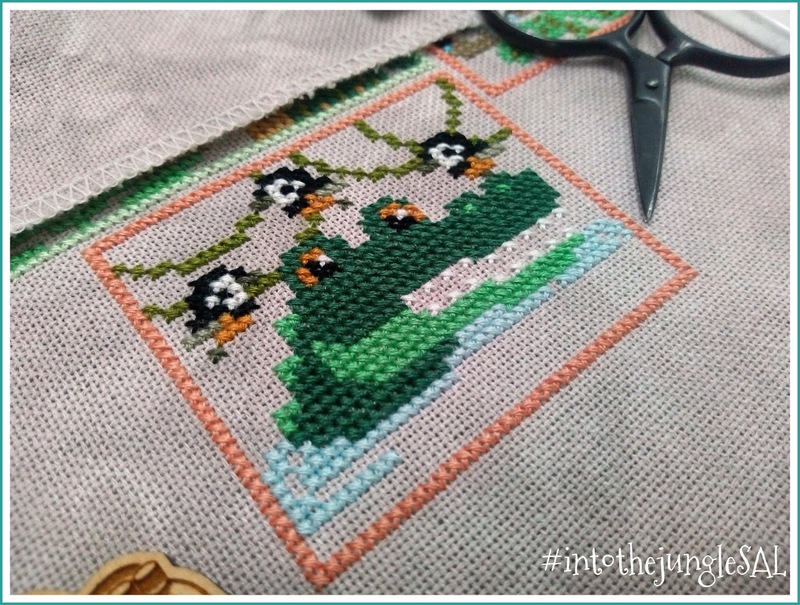 I've also been working on finishing the fifth block of Into the Jungle. This block is represented by a crocodile accompanied by three black birds (at least I think they are birds). Only a few more lines of water to add and I'm done with this block! 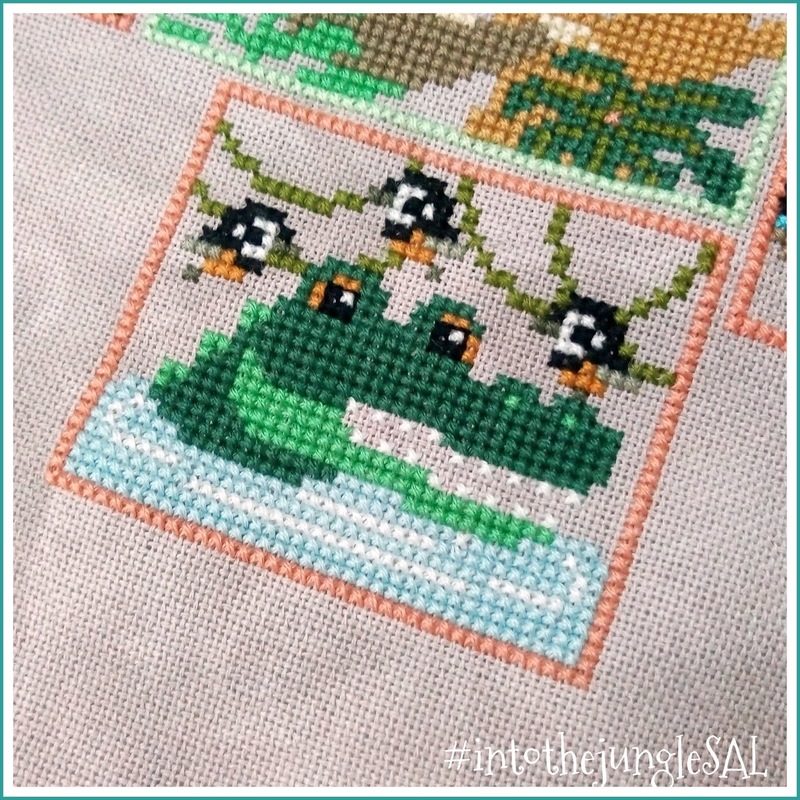 In this past two months I've not made a lot of progress on my cross stitch pieces. 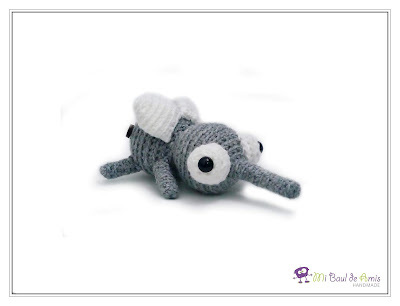 But I did finish a few amigurumi. 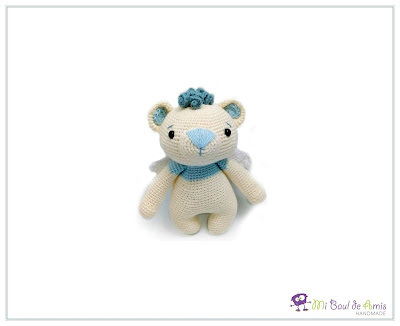 One of those is this cute bear angel I made for my youngest nephew, Gael. He was baptized at the beginning of June and this was my gift for him. I made the little bear with a tuft of curl just like the one Gael has. 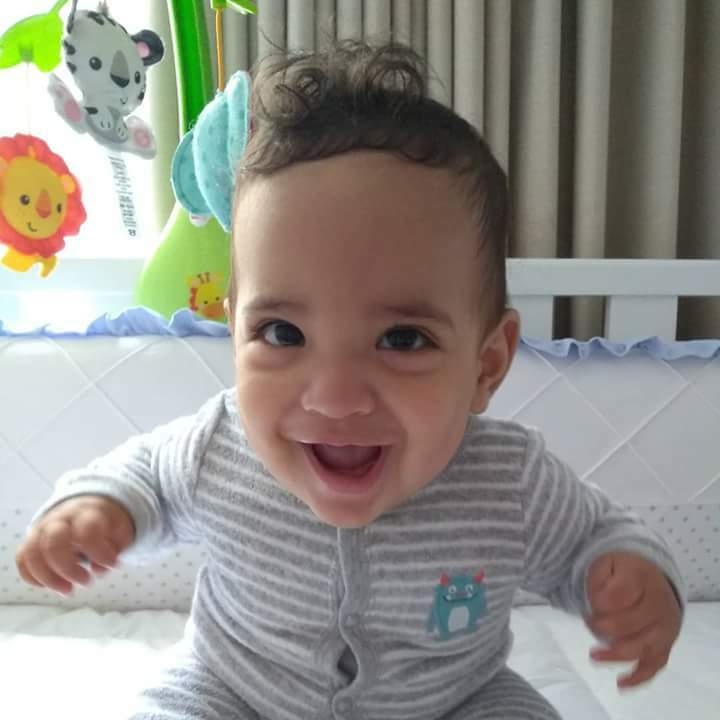 I ♥ the way he came out!